He was great. Confident and nice! The team was caring and I felt very cared for. Dr. Mayle is very responsive and really knows what he is doing. The care team really made preparation for surgery as easy as possible. The post care team is very helpful and extremely caring. Everything about this experience has been really smooth. Dr. Mayle is so up to date on the latest treatments. He is extremely kind and offers hope that there is treatment for my condition. I have my first grandchild who will be walking soon and I want to keep up. Their caring, advice, taking ownership of my situation. There simply were no negatives. his excellent appearance at our interview, we are quite impressed with him. Dr, Mayle was extremely professional and directly responsive to my concerns. The level of professionalism and kindness given. They made me very comfortable with the knee replacement surgery. The doctor has two office locations and I wound up at the wrong one and had to taxi to the right one. Appointment reminders should verify the location. Wonderful experience extremely nice staff! Dr. Mayle was outstanding – personable, patient, knowledgeable and thorough. He took his time with me explaining all options and issues surrounding my knee. He apologized for the long wait. There were some technical issues. .The office had not received any of my “first appointment paperwork” that was completed online with ZocDoc. The receptionist at first said they didn’t use that system. Later, another employee told me the ZocDoc system was down. Either way, it was a small issue. The long wait was disappointment, but this is a very busy orthopedic office! Great bedside manners and very informarive! I felt I could trust him! Doctor Mayle is wonderful. The staff is professional, friendly and helpful. He is very friendly, knows his stuff. Funny and warm I feel very confident with him! Dr. Mayle answered my questions and made sure I had all the information I needed to make an informed decision about my medical care. 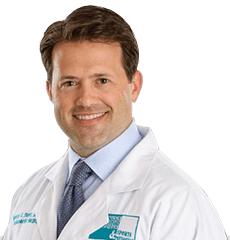 My search is over – Dr. Mayle is the perfect Orthopedic doc for me. Doctor was generous with his time- explained everything very clearly. He was knowledgable and caring and did not rush us through the consultation. Dr. Mayle took more time with me than any other doctor in that practice ever has. He is kind and caring. Plus, I think his diagnosis made a lot more sense than some other doctor’s I have seen. I would definitely see him again.